Quality Control is a continuous process and not an “add-on” requirement. The QAP will be revised or modified as circumstances warrant throughout the contract period to ensure the highest level of quality control standards are maintained or improved. 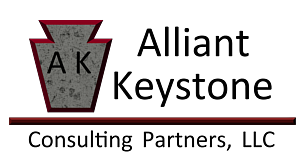 Any changes to the QAP will be reviewed and accepted by the CO/COR and Government prior to implementation by Alliant Keystone. Quality Assurance promotes the delivery of reliable, complete and accurate work products by minimizing the transmission of errors through Quality Planning, Quality Control, and Quality Improvement processes. Alliant Keystone’s approach to providing Quality Assurance establishes quality controls during the entire lifecycle of a task.